During the Daimler Truck North America (DTNA) 2018 Elite Support Continuous Improvement Coordinator (CIC) Summit in Orlando, attendees raised more than $55,000 to support Habitat for Humanity of Greater Orlando. Habitat Greater Orlando is part of a global, nonprofit housing organization whose vision is a world where everyone has a decent place to live. Habitat Greater Orlando is dedicated to eliminating substandard housing in the Orlando region through constructing, rehabilitating and preserving homes; by advocating for fair and just housing policies; and by providing training and access to resources to help families improve their shelter conditions. 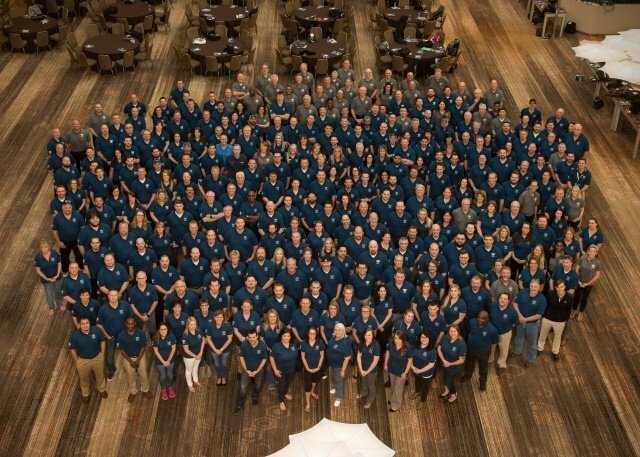 The annual CIC Summit brings together more than 300 of DTNA’s Elite Support personnel to share best practices in creating exceptional customer experiences. This year the three-day event focused on elevating the level of service at dealerships to exceed customer expectations. Attendees raised money for Habitat Greater Orlando during a Casino Night fundraiser as well as through dealership contributions. Every year, Elite Support personnel raise money for the Habitat for Humanity affiliate closest to where the annual CIC Summit is held. To date, Elite Support has raised more than $62,000 for the organization nationwide, benefitting cities including Palm Springs, Nashville, and Orlando. There are currently more than 275 Elite Support locations in the United States and Canada. To become Elite Support Certified, DTNA dealers must go through a stringent process that requires them to demonstrate proficiency in service and parts processes, provide robust technical and operational training, and offer superior customer amenities.